Dr Helen Cutts is a dentist working in several clinics throughout Bristol. With a background in dentistry Helen has an in depth knowledge of facial anatomy and has a keen and artistic eye for cosmetic treatment. She prides herself on giving natural looking results with great care and a gentle touch. Through her work Helen helps her clients look as young as they feel. 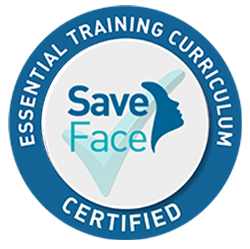 She qualified from Leeds University in 2013 and went on to complete 4 basic and advanced facial aesthetic courses. This enables her to provide wrinkle relaxing injections using toxin, and administer dermal fillers to restore facial volume that is lost in the ageing process. A passion for facial aesthetics drives her to increase her understanding of new treatments and products and continue her development and learning in the subject. I had Botox and lip fillers from Helen. The results are so phenomenal. Wonderful treatment!! I wouldnt hesitate to recommend Helen! I had treatment with her 2 months ago, and am already planning more! She’s so friendly and knowledgeable and best of all I didn’t feel a thing! Have already recommended her to my friends! Thanks Helen! Can’t recommend Helen enough and would not go to anyone else now for my fillers. I couldnt be more pleased with the result and service I received!